These five tools and platforms are some of the best for test automation when creating mobile apps, for usability as well as security. Can you recollect in a second the number of applications that are currently running on your mobile? What if you get to know that one of them has been hacked and there is a probability that your personal data has been exposed? It will definitely stir up panic and anxiety, as every important application builds dependability over a period of time and usage, especially financial applications. As applications get complex, mobile application testing enables application makers to check for functionality, usability, consistency, and security. Mobile applications are expected to run across various devices with varying dimensions, different network conditions, and multiple operating systems. This entails serious software testing and quality assurance, which is effectively conducted with software testing and automation tools. We have listed select tools that must be considered for mobile application testing. Appium has emerged to be one of the most popular test automation tools for testing mobile applications and has been endorsed by testers and developers for its ease of implementation. It is an open-source tool that enables automation of native, mobile web, and hybrid application across iOS and Android platforms. One of the highlights of Appium is that it supports Safari on iOS and Chrome or built-in browser app on Android. This makes Appium a cross-platform automation tool and enables the user to write tests on multiple platforms, namely iOS, Android, and Windows with the same API. Considering it is cross-platform, it enhances the reusability of the code between iOS, Android, and Windows test suites. The tool is built on the premise that while testing native apps, it need not require the inclusion of an SDK or rearrangement of the application. Most importantly, it enables you to implement your preferred test practices, frameworks, and tools. It is an open source platform that encourages solutions and contributions from a community of testers/developers. It automates any mobile application across any language or testing framework, facilitating complete access to back-end APIs and databases of the test code. Moreover, Appium's backend is Selenium, offering every Selenium functionality for your testing requirements. SeeTest automation platform from Experitest is leveraged for continuous testing of mobile and web applications. It is a preferred platform for testers, as it can integrate seamlessly with industry open source tools, namely Appium and Selenium, to run tests across a range of mobile devices and web browser for faster turnaround time. Additionally, it helps create tests efficiently and at speed on upgraded versions of open sources tools. Reference to Test Execution, it accelerates the testing cycle and gives better test coverage by running tests simultaneously across multiple browsers and mobile devices. Hence, SeeTest not only offers a mobile test automation solution, but also helps install and launch it. With just a click, the tool can start testing the application across almost 15 devices at a time. App Dynamics is a tool from Cisco for monitoring an application's performance and getting real-time updates for end-to-end management of applications. Its Application Performance Management (APM) tool enables users to focus on factors such as application mapping, dynamic baselining, and code-level diagnostics. 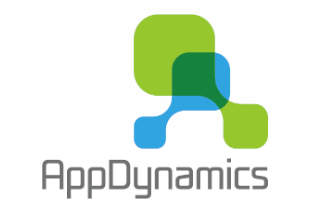 Moreover, the AppDynamics platform helps you to keep a check on the performance of the mobile app to ensure customer experience. It offers real-time visibility into the experience of the end-users on iOS and Android platforms. The tool further helps to gain insights into the usage patterns of users such as device types, carriers, Operating Systems, and versions of an application. In a way, it helps to identify issues with the application in real-time for quick turnaround. TestComplete Mobile is a mobile application testing platform from SmartBear. It is a preferred automation platform as it enables the user to create, manage, and run automated tests across any mobile application. It also helps to create and run recurring and tough UI tests across native or hybrid mobile apps. It can automate UI actions or user scenarios on real devices or emulators in a script-free record and replay mode. Perfecto Mobile is a cloud-based platform for web, mobile, and IoT software testing. Perfecto Mobile provides easy access to a wide range of mobile devices and web browsing environments. Most importantly, Perfecto's reporting and analysis platform enables teams to assess the quality and focus on the problem areas to make necessary changes. It offers a common interface where teams can connect and collaborate to work on errors/bugs, track the project's development, quality metrics, and effectively focus on resolving it. It further offers the coverage that is needed for concurrent environments, platform capabilities, and the scenarios that the users would experience. In addition, it enables teams to validate the work quickly on real platforms, and effectively run tests in Espresso, XCTest, Selenium, or other test frameworks across multiple platform versions. Mobile application testing is a growing need, and the challenges around it are growing tremendously. Test automation tools and platforms definitely enable teams to resolve the issues faster and in a much more efficient manner by reducing the overall testing efforts. However, every tool and its implementation needs experience and a robust strategy.